Dry skin can become an issue around colder seasons, especially if you already have dry or combination skin. Just like your lips can get chapped from too much wind, it can have the same effect on your skin. If you notice skin flaking around your face, try one of the five homemade remedies below before spending money on store-bought products. 1. Mash and warm up aloe vera Â ( olive oil can also be used)Â in a microwave-safe glass container for 5-10 seconds. Test first on your arm to be sure it’s warm but not hot. Massage aloe vera on face Â in circular motions and leave on for 3-5 minutes. Rinse off with cool water and apply a light moisturizer or face serum to seal in moisture. Do this once a week for baby soft skin. 2. Got chapped lips but no lip balm around? Grab some olive oil and mix it with sugar, then massage onto lips. Rinse off with warm water, dry off, and apply a thin layer of aloe vera (natural works best if available) to lips. The sugar scrub works to get rid of dry skin, and the aloe vera will help heal as well as add moisture to your lips. 3. Boil a bowl of green orÂ chamomileÂ tea, and use it to steam your skin. Place your face a few inches over the bowl and put a towel over your head so it dangles over and traps the steam. Let the steam hit your face for a few minutes keeping eyes and lips closed, if it feels too hot take breaks outside of the towel. Steam for as long as the tea remains warm, then rinse of with cool water. Grab your favorite face moisturizer and pour a quarter-sized amount on the palm of your hand, then grab the tea bag, and squeeze a few drops on the moisturizer and mix together. 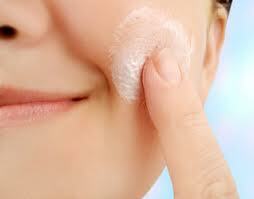 Massage the moisturizer-tea mix onto your face. 4. Grab one Tbsp. of ground coffee and mix with 1/2 Tbsp. of milk. Use the coffee paste as a facial mask and leave on for 10-15 minutes. Rinse off with cool water and seal in moisture with a light lotion or facial serum. The caffeine in the coffee has antioxidants which can be good for your skin and the milk provides moisture. 5. Play with your fruit and veggies! Mash up half Â an avocado or tomato and mix in one tsp. of olive oil. Massage over face and leave on for 10-15 minutes. Rinse off with cool water and seal in moisture with a light serum/ moisturizer. You can also use papaya, a banana, peaches or cucumbers. Be sure to remove any makeup and wash faceÂ priorÂ to Â applying theseÂ homemadeÂ recipes. As well as testing for any allergic reactions prior to using. You can find small aloe vera plants at your local hardware store or occasionally grocery store. It’s very convenient to have one or two plants around the house since aloe vera is great for keeping skin clear & glowing, and is the best natural cure for sunburns. I tried the last remedy andÂ had coconut oil to replace olive. Not only does my skin feel softer after, I now notice the fading of my freckles. Great tips!